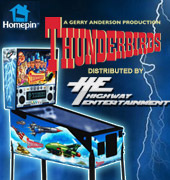 Home - Arcade Machine News Stories - Daily Specials Now Running On Highway Entertainment! We are happy to announce that we will be running daily specials on our website, such as today's Baton Top for Arcade Joystick (Black) for only $0.99! Keep an eye out for these amazing deals as most products will be reduced by 50%-90%. Please note that there will be a different special each day ranging from spare parts to machines, and each daily special is limited to that day only. I.e. Today's special on the Baton Top for Arcade Joystick (Black) will not be running tomorrow and the price will be going back up to its normal price tomorrow. 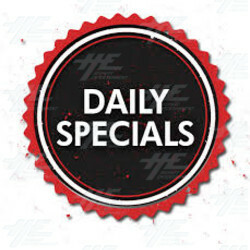 We will be starting our daily special each day at 12noon and if we sell out, you miss out. Some items that will be part of our daily special will have plenty of stock available whilst others will be on a strictly limited basis. 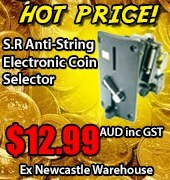 To make sure you dont miss out on the deals, make sure to visit our website, Facebook and Twitter regularly to keep up to date.